This week on Get the Skinny: Videogames and fitness! Weight Loss Prescriptions More! 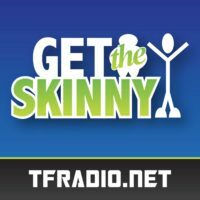 This week on Get the Skinny: An update on Brian’s fitness tracker We interview Troy Bell about his Gastric Sleeve surgery More! This week on Get the Skinny: Fast Food Breakfast Meal replacement shakes and bars More!